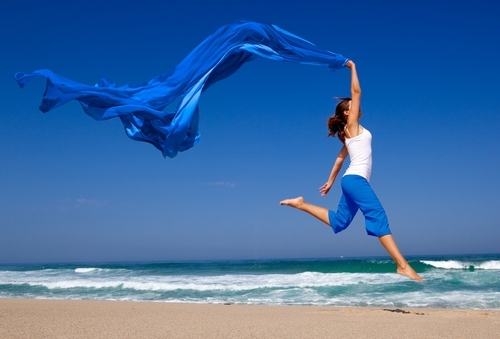 The general state of your health greatly determines the quality of your life. Who doesn’t want to be healthy, stay healthy or get healthy? The essential building-block to a healthy body, and therefore also to healthy teeth, is a well-balanced intake of high quality nutrients such as vitamins, minerals and trace elements. 2000 years ago, Hippocrates, referred to as the father of modern medicine, emphasized the importance of proper nourishment with his quote: “let food be your medicine and medicine your food”. Unfortunately, nutrient deficiency is pretty common in today’s society even though food is sufficiently available – quantity above quality! Depleted farmlands, toxic pesticides, negative environmental influences and the industrial processing of basic foods, to name just a few factors, result in loss of important nutrients or denaturation of our food. Additionally, an unbalanced diet over-acidifies the body, and the pH value declines. The individual digestive system also plays a significant part in the absorption of vital nutrient since this can be very different from person to person. Seemingly healthy food can’t always be utilized optimally! In the sixties the esteemed chemist and double Nobel Prize winner, Dr Linus Pauling, conducted extensive research in the field of nutrient-based medicine and found that essential nutrients, when taken in an optimum dosage and combination, can be used to prevent disease, sustain health and to treat diseases. This principle also applies to teeth and gums. A thorough domestic dental care as well as teeth cleaning at your dentist is very important, but still doesn’t guarantee healthy teeth and gums. A deficiency in nutrients and minerals often negatively compromises your general health as well as your dental health. Also teeth, gums and jaw bones need nutrients and minerals to stay healthy for optimal performance and function. Vitamins, minerals and trace elements not only protect from diseases, but also promote oral health. Vitamin A supports growth and regeneration of oral mucosa and can prevent inflammation of the gums. Vitamin C is greatly involved in the buildup of dentin, and an optimal dosage can prevent gingival inflammation. teeth and the hardness of tooth enamel. Vitamin E plays a vital role in healing gingival diseases. 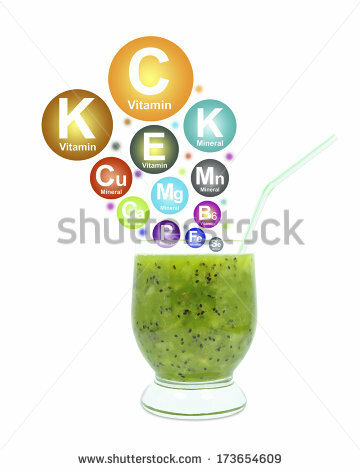 Vitamin K promotes healthy bone augmentation and inhibits the production of acids that cause bacterial tooth decay. Folic Acid – Periodontitis-affected gums require an increased intake of folic acid. Coenzyme Q10 is a very important nutrient that provides energy to the cells and therefore supports the healing process of periodontal disease. Also, Q10 increases cellular oxygen levels and supports capillary circulation. Calcium is necessary to harden the dentin and to protect it from being attacked by acids. Calcium also has a positive effect on receding gums and jaw bone loss. Magnesium, if sufficiently available in blood, can prevent gum infection and consequently also tooth loss. Zinc has antibacterial effects and prevents plaque-building. After dental surgery (e.g. extraction of wisdom teeth or dental implants) vitamins, minerals and vital nutrients can be utilized for better wound-healing. The most important vital nutrients to support wound-healing are zinc, vitamin A, vitamin C and folic acid, since they directly influence the immune system and regeneration of skin cells. Also, other substances such as the amino acid L-arginine, MSM (methylsulfonylmethan), vitamin K, coenzyme Q10, Omega 3, RPR (enzymes for postoperative regeneration) and probiotics that promote healthy gut flora support the process of healing. Healthy teeth, gums and periodontal apparatus interact closely with the health of the entire body. A diseased organ can negatively influence a tooth. In reverse, diseases can be caused by unhealthy, inflamed teeth and gums. That is why it is important not to treat diseases of mouth and body as two separate symptoms, but as a whole. A healthy and balanced nutrition which contains appropriate amounts of nutrients promotes both – a healthy mouth and a healthy body. our dental practice, Dental Planet in Rojales, Spain.